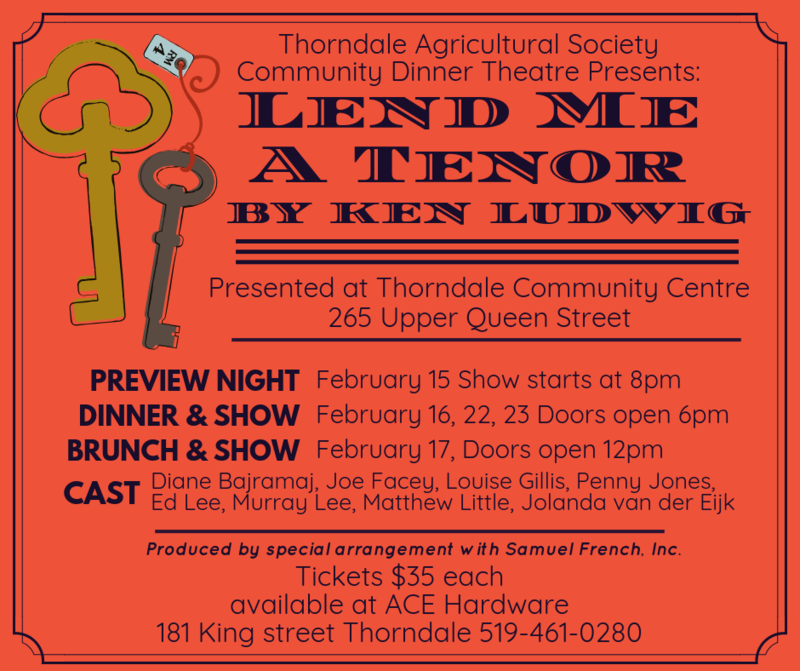 Tickets are $35 each (preview night $20) and can be purchased at Thorndale Ace Hardware (cash or cheque only). Doors open at 6:00 p.m. for night shows with dinner being served at 7:00 p.m. Doors open at 12:00 p.m. for the brunch show, brunch served at 12:30 p.m.
© 2019 Thorndale Fair. All Rights Reserved.